Category Archives for "Sell A Phone"
Discover what it takes to get the most out of your phone. With the advances of technological, we have found a way to store media, information, and other content “up in the cloud”. Some of these storage devices are Dropbox, Google Drive, and iCloud. The latter being one of the most popular Apple online storage services. If you own an iPhone, iPad, and a Mac, you probably know how convenient it is to have an iCloud storage. iCloud lets you keep data online and sync all data among multiple Apple products. ​When you set up your iCloud account, you can access all files that are uploaded, and synced data, anytime anywhere with your Apple devices. iCloud has different aspects such as iCloud Drive where you can store information and other media such as iCloud Photo Library where, as its name suggests, it stores your photos online. Photo Stream also works the same way as the Photo Library. Despite the convenience offered by the iCloud storage devices, there is also a danger with keeping all your media and other information stored online. For instance, when someone gets hold of any of your Apple devices, which has iCloud on, then they can easily access and download your data. Security of your files is the biggest problem of people using an iCloud. There has been glitches with security measures, hackers have found ways to access people’s most private files. Therefore, if you are planning on turning iCloud off on your Apple devices, then do not fret, we are here to help. In this article, we will discuss different topics related to iCloud and how to turn it off. Note: iOS 11 revamped the Settings app and the iCloud settings can be found in your Apple ID and its own preferences and settings. The iCloud tab, which was present in older version of iOS, is inexistent now in the iOS 11. How To Turn Off The iCloud? First and foremost, here are the steps which will enable you to turn off the iCloud on your devices. ​Go to the Settings app and look for your profile, which is found at the top of the screen. ​Once you get to your Apple ID, tap iCloud. ​Find the switch for the iCloud Drive at the bottom and click it to turn off. ​​Go to the iCloud tab as instructed by the steps above. When you get to the iCloud screen, you will find just above the switch of the iCloud Drive the list of all apps using iCloud. Turn off the iCloud access by ticking the switch next to the app’s name. You can individually choose which applications will use iCloud. 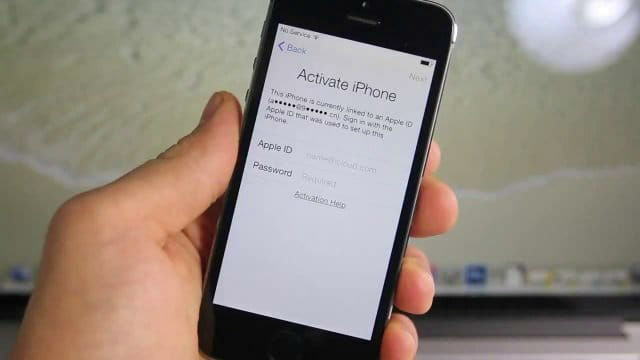 Despite individually turning off iCloud access of apps installed on your devices, there are still applications which can still have access even with the iCloud Drive turned off. ​These applications are the iMovie and Pages which saves files to iCloud. Unlike other applications, iMovie and Pages are not ones that appear on the Apple ID screen. As a rule of thumb, applications that create new files on your devices and those with games that use iCloud. If you want to deny access to these applications, on the iCloud, you need to turn them off, you have to revoke the access to all. This is also very important when you sell your iPhone to a friend, family or complete stranger. You can also do this wen your sell your iPad. ​Just go to the Settings app, then to the tab of the specific application, and revoke the access of the app. ​Programs like this can transfer your data from any Apple device to a Mac or even windows PC, some can even do vice versa. Read different articles or go to forums which talk about transfer programs. Choose the one which you think is most useful and applicable for your needs. Download it, follow the instructions, and transfer away. Should You Turn Off Your iCloud? Now that you know how to turn off and revoke iCloud access, and how to transfer files from your iCloud, you may be wondering if it is really worth it to turn off iCloud as it involves tinkering with some of the security settings of your iPhone. ​To help you decide, aside from the features already talked about at the first part of this article, the written features listed below are the pros and cons of using iCloud. ​Backing up your data to the iCloud is very easy to do. With a simple click of a button, the devices automatically back itself up. You also can turn WiFi on and backup to store data online as soon as the device is connected to the internet. ​All your devices are synced. A good feature of the iCloud is that it is available to all your devices, whether big or small. ​iCloud is free until you reach a certain size of memory. If more memory is needed there is an extra charge. However, the free memory per Apple ID is already substantial. ​The fear of hackers is not uncommon in online storage. Apple is definitely a prime target with hackers as it is one of the biggest tech companies worldwide. With a clientele, consisting of some of the most important people in the world, Apple needs to reassure its users that it is doing its best to safeguard their media and information that is uploaded in the Cloud. ​Some users are paranoid that Apple employees are able to look into their files. This hasn't been proven and no incident has been reported yet, but there are still doubts with regard to confidentiality. It is important that once you get your iPhone running, you have explored and familiarize yourself with all of the security features. ​The iPhone’s security features can be found in its Settings. The Settings control all the features of the device from ​the wallpaper up to ​the storage. Your iPhone has a lot of security features that you can utilize. In the following sections, we will be talking about some of the more important features of your iPhone in order to guide you in customizing them. ​Aside from the ​security settings written below, there are also different ​apps available in the App Store which can help you add even more security ​to your ​iPhone. Just make sure to read the fine print before you download them. We are all familiar with passwords that needs to be inputted to unlock your iPhone. With iPhones, the lock password is called a Passcode. ​Before it used to be a four digit code, but now​ you can use an alphanumeric code​ which can be up to 30 letters and numbers! This can make it very hard for thieves to unlock your phone especially when it is protected by a very long and complicated password. The Touch ID is one of the features which separate the old generation iPhones from the newer ones. Touch ID is what Apple calls its fingerprint reader on iPhones. 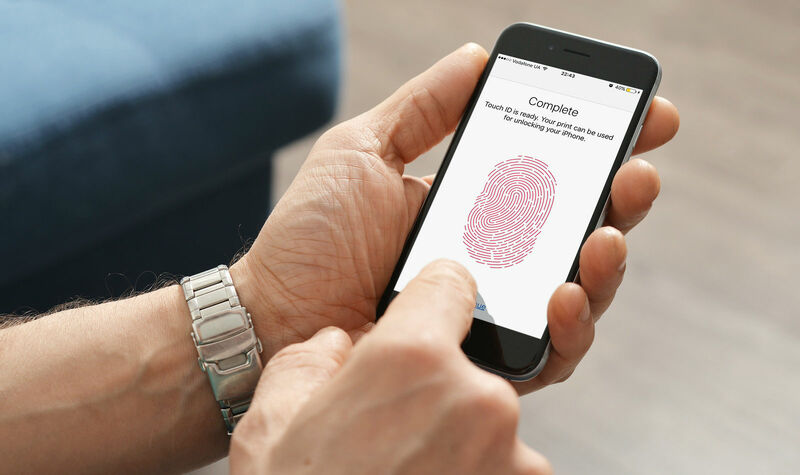 Touch ID and Passcode work hand in hand as the first security barrier on your iPhone because in the event that the Touch ID fails, the iPhone will automatically ask for the Passcode. ​It is important to note that when you get your iPhone screen repaired and it involves replacing the home button, the Touch ID will not longer work. The home button is bonded to the motherboard so changing the home button will remove the ability to use the fingerprint scanner. One of the tricks to get around the Touch ID & passcode locks is to wipe all data in an iPhone by restoring it. This also prevents the owner from tracking it by using location services and third party applications. All security settings, information and media stored in the iPhone will be erased which makes it usable for a complete stranger. This is not an issue if you are selling the iPhone or giving it to a friend but does become a problem if your iPhone gets lost or stolen. Apple has realized this problem and added the Activation Lock feature which asks the for the owners email & password before all data and security settings in the iPhone gets erased. With this feature, the owner of the iPhone must input the account email & password used when setting up the iPhone. Note, it is the iCloud account password and not the iPhone's security passcode that is required. ​It ​is no surprise that this feature has been widely accepted by many. In fact, according to statistics, the ​activation lock has led to a decrease in iPhone theft​ because the feature​ makes it ​harder for the thief ​to use or resell the device. Location services are used by your iPhone and third party applications to know where your iPhone is and where you are using it. With location services, your phone can be tracked down by you using a software on your laptop or another device and by law enforcement. ​However, in older iPhones, the location services can be turned off by anyone who has access ​to your ​iPhone. But now, this task is harder since the person who wants to turn off your location services must first input your Passcode. This is also one of the security features not found in older generation iPhones which was introduced with iOS 7. This feature enables you to remotely wipe & lock your iPhone. ​This is a particularly handy ​feature when you ​can't find your ​iPhone and you are pretty sure that it might ​fallen into the wrong hands. ​Last but not the least, ​the lost mode feature will also suspend credit card purchases on the App Store ​& other stores to ensure that the person who ​has your ​iPhone ​can't buy anything using your ​credit card. ​Now that you know the different security​ settings for your iPhone, here are the steps you need to take to activate them. ​Click on the Settings icon found on your Home screen, look for Touch ID & Passcode and tap it. ​Scroll down and tap the Change Passcode button. Enter your new passcode and then enter it the second time for verification. ​You are all set! ​For Touch ID, note that this feature is only available from the iPhone 5S and ​up. Also, if the iPhone is being used by more than one person​ you can store more than one fingerprint. ​Repeat the first step indicated above for the passcode, i,e: Settings > Touch ID & Passcode. ​Follow the instructions shown on the screen. Note: You will be required to touch the Home button repeatedly until the iPhone gets a good scan of your fingerprint. Once the iPhone shows that the fingerprints are readable and good to go, then you are all set. If you need to add multiple fingerprints, then just click on “Add a Fingerprint”. Note: You can rename the fingerprint files to avoid confusion. The General tab is where you can find the different security settings for your iPhone. One of the more useful features you can control here is the restrictions section. Here, you can restrict the access of users or third party applications to certain areas on your iPhone. ​Enter Settings and then General. ​Look for and tap Restrictions and then Enable Restrictions. ​Input the passcode that will be used in accessing the restrictions. Note: You will enter the passcode again for verification. Afterwards, you are all set. Explore the restrictions area to know about the access and content that you can control. There are a lot of apps that request access to your personal information and your iPhone’s content. For example, photo editing apps will request to have access to your photos in order to upload them to the editing dashboard. ​Social media ​apps will request access to your contacts in order to look for ​friends ​you can add. ​The good news is that you are in control of how much you ​share ​with these ​apps by managing ​the privacy settings. ​Go to Settings then Privacy. ​Tap an item listed there to view the ​apps ​that have requested access to ​your information. ​If you want, you can turn on or off the access of certain ​apps. Simply tap on them and enable or disable the access. ​The security ​setting for your iPhone ​helps safeguard ​your personal information, media​ and any other content from theft. ​Additionally, these can also help deter thieves from stealing​ your ​iPhone since there are features that will render​ it useless. It also gives the users peace of mind knowing that the sensitive and personal data they have stored in the smartphone is well guarded. Selling has become a faster transaction with the ​popularity of websites and social media. ​There are tons of websites ​popping up​ that​ help​s sellers connect with buyers. ​Additionally, there are ​many Instagram pages and Facebook Groups ​that are centered around selling or trading​. These websites to sell stuff locally or online make it easy and convenient. ​If you have something that you want to sell, but you are still not sure which ​way to go, then this article is for you. ​Discussed below are ​the top five ​websites to sell stuff locally or online that are trustworthy and best in ​connecting buyers and sellers. Having your ​items sold in Amazon is also fairly easy. You just need to list your item against an already listed product and then ship it ​when it sells. You need do not need to sign up for Amazon’s fulfillment program ​to be ​successful on Amazon. ​​Another option to sell your stuff ​on Amazon​ is through their direct buy-back program. Under this program, you can sell your stuff directly to Amazon​. They will buy it from you​ and then ​sell it on Amazon under the free shipping ​fulfillment program. There, you can send the products you have to them for free. eBay ​is one of the original websites ​created for buying and selling​ ​stuff on​line. Despite the rise of other online selling websites​, eBay offers better protection for their sellers and buyers. The fees are competitive​ and remains one of the "go-to" ​online sites for buying and selling. ​One advantage of eBay is its global reach ​which offers a wider market to sell your stuff beyond just locally. eBay started off with an auction model but has recently gained popularity with normal ​product listings​. eBay also has different ​methods of payment which both the buyer and the seller can take advantage of. You can even offer the ability for local buyers ​to ​pick up the item instead of shipping. When selling online, there are ​tons of risks ​the seller ​assumes: bogus buyers, robbers, and fraudulent people. If you are worried about safety, then a good ​website to sell stuff locally is OfferUp. ​This website​ uses a system​ known as TruYou​. ​This requires ​buyers and sellers ​to verify their identity before ​being able to use ​its ​services. The TruYou system ​allows the user to ​review their ID which helps ​OfferUp ​to determine if their identity is true or not. Sellers without verified identities can still put their items up for sale but they ​are classified ​as unverified ​while verified sellers’ items are highlighted in blue. The TruYou system is compatible with both Android and Apple devices. Aside from the verification, OfferUp also has a rating system which lets users know what other people who have already dealt with the seller know how it went. ​Selling is very easy to do with OfferUp. With its app, take a picture of the item you want to sell. Input in the details the buyer needs to know and upload it. Voila! Your item is up for sale. GSALR.com is built for garage sales. ​Simply enter your location in the search ​and ​you'll get results ​that ​lists all ​of the garage sales going on in ​your area​. These garage sales are marked with a red flag which you can click on to​ get the details of the garage sale. Details will include things like the time​ and ​location​ among other things. When you find the garage sale you want to check out, click on the “View Route & Directions” to ​navigate to the place. If you are looking for a specific product​ then you can just browse the listings or look through the photos of all the different individual products​. ​You can also narrow your search with filters​ which enable you to identify the location​ or time​. You can also use keywords ​to filter through the hundreds of listings shown. 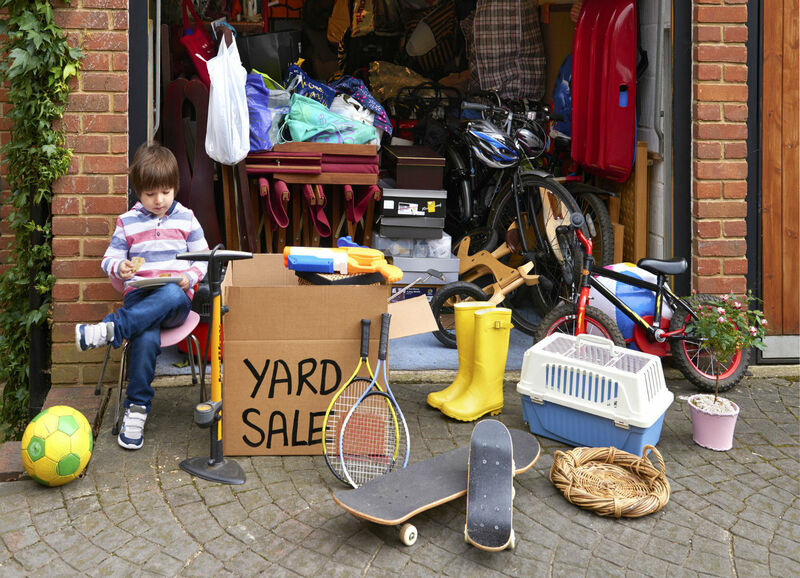 A convenient way to keep tabs of all the garage sales happening is to add them to your​ favorites list by ​clicking the favorite button found ​on the garage sale page. Just by its name, you ​could have guessed that this website to sell stuff locally is related to clothes. Clothes is ​one of the most saleable items online but ​usually applies to new clothes only. Used ​clothes are looked ​at with caution ​as buyer ​often wonder where the clothes have been or ​the true condition of the clothes ​versus the description of the seller. This is where ThredUp comes in. The website has established a strict set of standards for the clothes ​listed online. The seller’s clothes ​have to go through ​a strict review policy and earn the approval of a team of fashion experts of the website. ThredUp’s inventory is composed of used clothes that people send to the website in order to have it sold. With the standards set by the website, buyers are assured ​the ​condition and quality of the clothes​. Aside from clothes, ThredUp also offers used shoes, purses, and handbags to interested buyers. With a little digging in the website, buyers are sure to find treasures such as designer bags, clothes, or shoes at discounted prices. Buyers are confident when buying on ThredUp because they guarantee that whatever they see on the website has been physically examined by ThredUp’s team of experts. Selling on ThredUp is easy and without the risk of hesitant or bogus buyers. If you are in the great city of Austin then you can skip the website to sell your stuff locally and come into our store to sell your electronics. Using us as your go to place save you time and the hassle of selling it your self. You can sell your iPhone, iPad, Laptops, iPods and most other smartphones. ​We hope you found this article on where to sell your stuff locally useful. If you have any comments or questions please leave them below or give us a call at 512-432-5528. Selling your phone is something that many, many people consider doing but they don’t actually take that leap. Instead, they put their phone in a junk drawer or back in the box in their closet and just let it collect dust. The truth is that you could be throwing hundreds of dollars away – and every day you let it sit, the less money you get. If you are thinking about selling your phone online you may be wondering if this is even legit. Surprisingly, this is the most popular way to sell your phone due to the abundant amount of old phones available. Since smartphones upgrade on almost a yearly basis, you have the desire to get the new one. However, you just paid hundreds of dollars for your current phone, so you don’t want to just let it go. Selling your old phone is your best choice. It will help pay for that new one you want so bad. Additionally, it will give you some return on your smartphone investments and even help you to clear up some of that clutter in your home. If you recently upgraded or you have some old phone lying around you should consider selling that old phone today. The price of the newer smartphones are going up and even require a payment plan to buy. The opposite is true for last years model. As soon as the new model is introduced the value of last years model drops like a rock. The longer you hold onto it the less it will be worth. Sometimes you have have a damaged phone that still works. There is still some value in those too however the buyback amount will be much less than if it were not damaged. It may make sense to consider getting your cell phone repaired first then sell it. 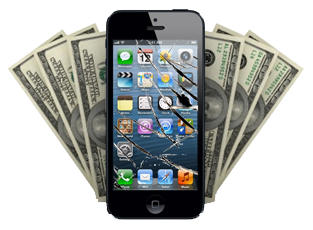 Get a buy back quote for how much you can get with the phone damaged and if it were not damaged to get an idea first. Sell it to a friend: This is probably the easiest way to sell your phone. You don’t have to worry about meeting a stranger in a dark parking lot. However, you do have to worry about what happens if something goes wrong with your phone. If you didn’t know that the phone was still linked to your account or that the is not compatible with their service, you cause a rift within your friendships. Subscribe to our newsletter for awesome cell phone related info. Sell it on Craiglist: This is another option, but there are problems here as well. Selling something on Craigslist or another classified site will take a lot of time for you, especially because you have to meet someone. It isn’t always safe to have a stranger come to your house or to meet them is a parking lot. It is also hard to find someone on Criagslsit who are serious buyers. Sell it on eBay: Selling your phone online on eBay is a better option. You can sell your phone there and mail it away, taking only a few moments to go to the Post Office. There are costs associated with the sale on eBay and to PayPal which will reduce your final sale amount. Additionally, buyers on eBay can be picky and can return the item for almost any reason resulting in a full refund and return shipping paid by the seller. Buy back website: While you might earn less by selling your phone to a buy back company like Recycled Cellular, you will save time and the headache. All of the work and risks associated with selling it yourself are eliminated with Recycled Cellular. Also there is no additional cost to you as the seller and no worry about the sale coming back for a refund. If you are located in Austin you can walk into our store to sell your phone﻿ in Austin and get paid the same day. Otherwise you can visit our buy back site Recycled ﻿Cellular where the whole process is handled online and through the mail. Selling your phone to a recycling company is the best route to go for many people. The process is simple and easy, getting you a fair buy back rate and the peace of mind that your time, energy and safety is saved. When selling your phone online @ Recycled Cellular all you have to do is log onto the website and select what type of phone you have. Take into consideration the cosmetic condition of the phone. Then you get a buy back quote that will tell you how much money you can get from your phone. It’s that simple! If you decide to accept our offer, then you can fill out the information sheet, and you will get a free shipping kit. You do have to take it to the post office or in your mailbox to ship it, but the payment comes fast through PayPal or via check. At the end of the day, going through a buy back site line Recycle Cellular carrier will make it easier than ever for you to sell your iPhone. You don’t have to wait around for someone to buy it – because with phones, time is money. The longer you wait, the less you’ll get for it. This circle only adds to the clutter in your home. It also takes away a good chance you have to make money. The older the iPhone is the less it is worth. It is best to Sell iPhone 5C for cash now and get the most while you can. How Much Can I Sell My iPhone 5c For? One of the primary questions that someone who wants to sell their iPhone has is “How much can I sell my iPhone 5c for cash?” The answer to that question isn’t always simple. In fact, at times it can be quite confusing. How much you get for your iPhone is determined by a buyback location. These locations will pay different amounts depending on the condition of your phone, the model or if you’ve had any repairs. Most places will allow you to sell your A﻿﻿﻿ppl﻿﻿﻿e iPhone 5c for a nice little price. Whomever you sell your iPhone 5c to will should tell you how much you can get. The buyback rate changes on a daily basis for the better or for the worse. The price will also depend on your phone’s size and capabilities. Someone with an iPhone 5c 16GB won’t get as much as someone with a higher GB phone. However they will get more than someone with a smaller GB phone. Where Can I Sell iPhone 5c for Cash? When you sell ﻿﻿iPhone 5c for cash, you do have to do a little bit of research as to when and where you make the sale. You should make sure that you will get the best price for your phone. Of course, you should also have to make sure that the company has a good reputation. Recycled Cellular is one of those reputable sources. They will buy your iPhone 5c whether it is brand new, slightly used, or broken. There are some limitations when the iPhone is damaged so check with them first before sending in your iPhone. You may want to get your iPhone repaired to increase the amount you will be paid. This is how simple it is to Sell iPhone 5C For cash. Chose the model of your phone. Select the condition of your phone. Fill out your shipping information, and Recycle Cellular will send you a prepaid shipping kit. It takes a few days and a minimal amount of effort. It is that easy to sell iPhone 5C for cash. 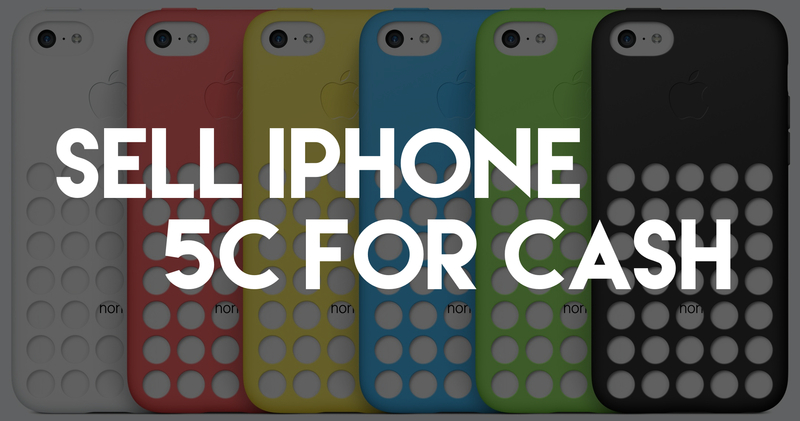 When time comes to selling your iPhone 5c for cash locally, there are some things to consider. You might see people on Craigslist or Facebook that say they will buy the phone from you. However, there have been a lot of stories in the news about people getting robbed when selling their valuables locally on classified sites. Your data is also important. In the wrong hands, your phone can reveal a lot of information about you. Information such ads your credit card numbers to your home address. If you are not sure how to restore your iPhone read our article on How To Reset Your iPhone. At Recycled Cellular they protect you information by making sure all data is removed. At the end of the day, selling your iPhone 5c can be quick & simple with a buy back service like Recycled Cellular. Do your research when you sell﻿ ﻿﻿﻿﻿﻿iPhone yourself. You will see that the simplicity of the process will outweigh the extra cash when you Sell iPhone 5C for cash yourself.